Take out a subscription to World Cement magazine, which is a leading source of business, technical and analytical information for all who are involved in the day-to-day business of manufacturing cement and lime. World Cement magazine is fully international, with every issue in a subscription containing monthly regional overviews, expert analysis and case studies, as well as in-depth technical articles and features. In addition, we publish an annual Bulk Materials Handling Review, focusing on materials handling in and around cement plants, aggregate plants, terminals and ports. 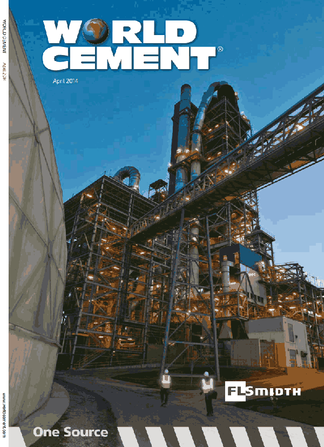 A subscription to World Cement magazine is essential reading for decision makers such as Chief Executives, Technical Directors, Plant Managers, Procurement Managers, Cement Terminal Operators, and Maintenance Managers. So don’t hesitate, invest in a subscription to World Cement magazine today! Be the first person to tell us what you think about World Cement and you'll save £2.50 on your next purchase!